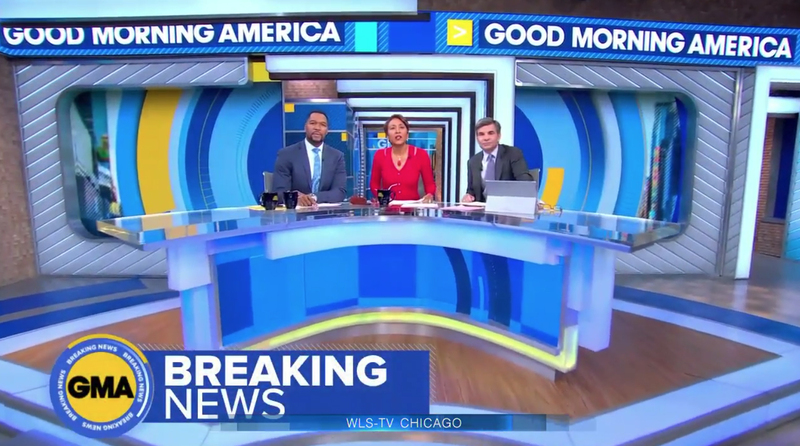 After initial viewer reaction, “Good Morning America” tweaked the graphics used on the video walls behind its new set’s home base. 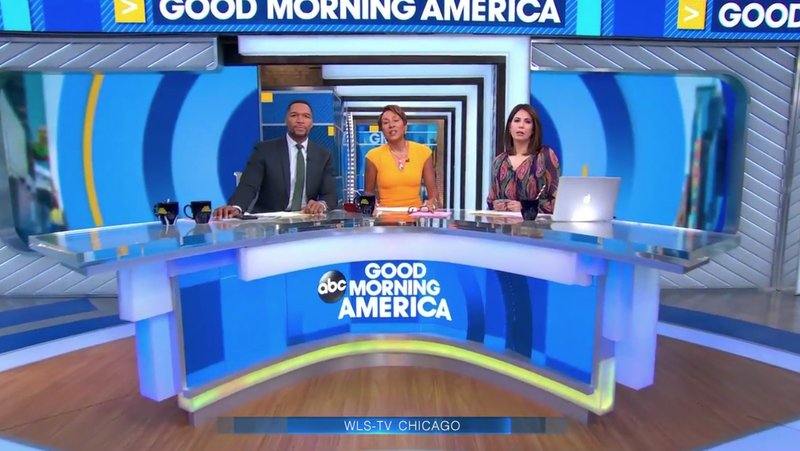 The new set, which debuted April 1, 2019, was met with mixed reaction on social media, with many noting how “busy” the backgrounds appeared. 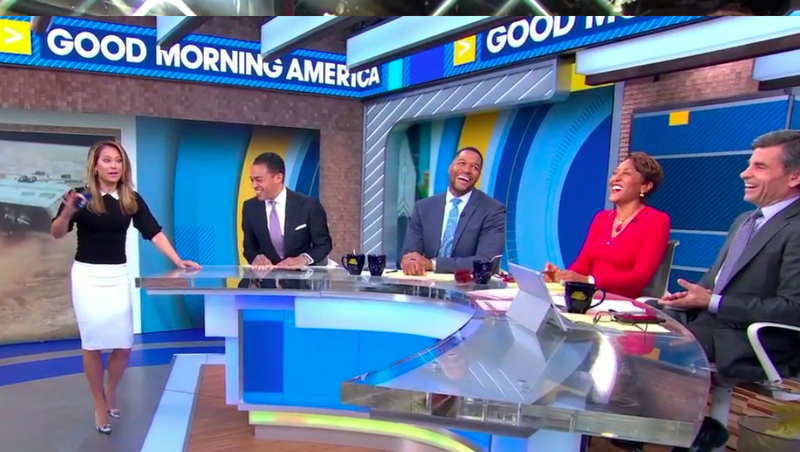 Here’s how the video wall backgrounds on either side of home base appeared for the set’s debut Monday, April 1, 2019. ABC appeared to concur, switching out the graphics for Tuesday’s edition. 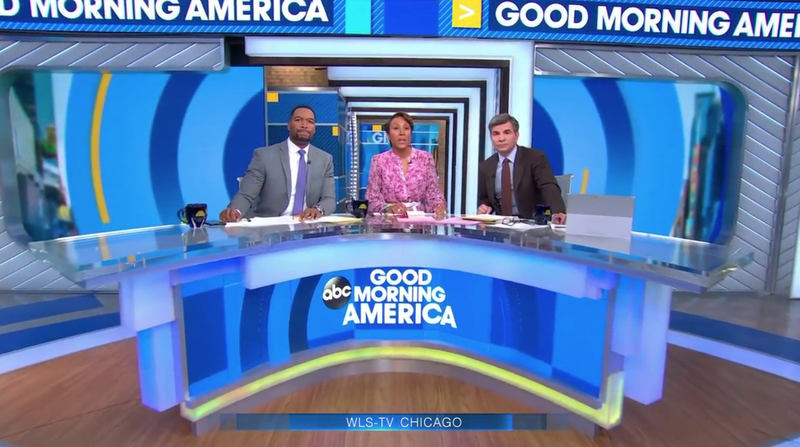 It’s not uncommon for networks and stations to make adjustments to sets or graphics after their initial debut. The backgrounds were simplified — removing the curved hashmarks and overall number of rings, along with making the gold curved ring segments narrower. The design also lost its drop shadows and is now slightly blurred, along with the cityscape views that peak through the far left and right. By Tuesday, however, the graphics were simplified. The look remained on Wednesday. The ring motif is inspired by the show’s graphics package which debuted in February.